Today’s food holiday is decadent, creamy, and smooth. Unless you live in England, where it’s more of a spongey cake-like consistency. 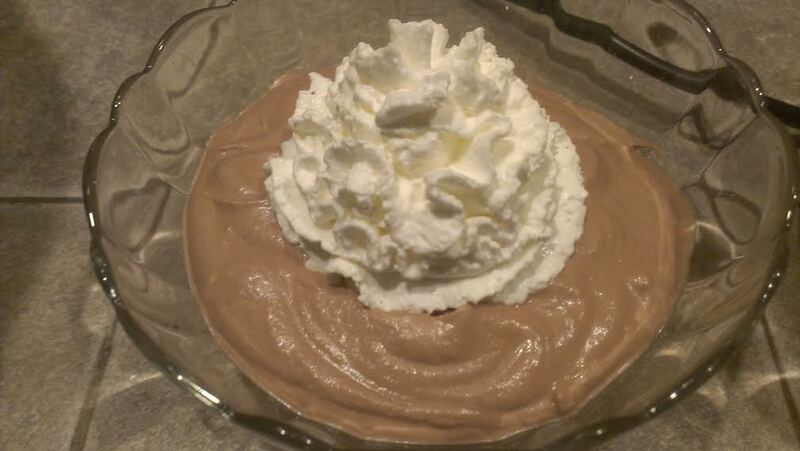 June 26 is National Chocolate Pudding Day! We’ve had pudding holidays before, so if you’re keeping track of all your food history through our blog, you’ll remember that “pudding” once referred to sausage, and was savory long before it ever became sweet. In England, if you order chocolate pudding, you’ll get a cake-like dessert that is thickened with eggs and steamed. 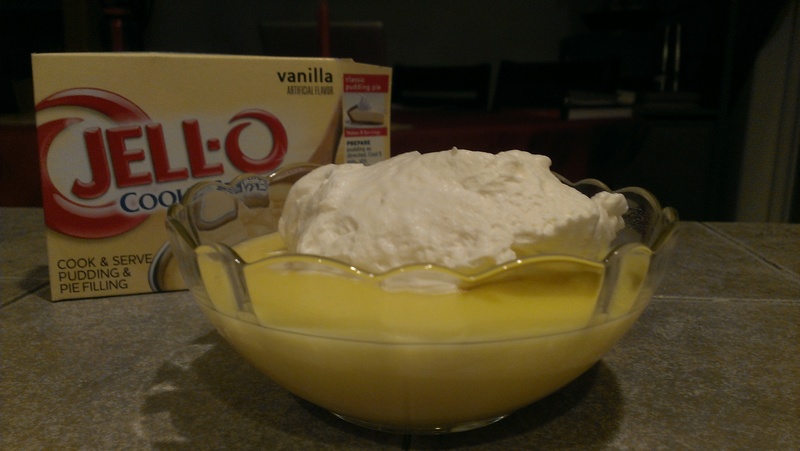 Here in the good ol’ USA, pudding is thickened with starch and boiled, resulting in a much creamier treat. 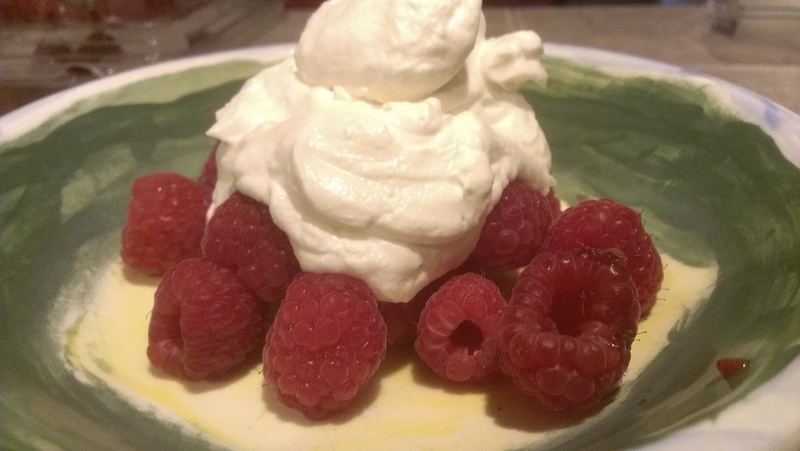 I’ll give Britain their cool double-decker buses and Big Ben, but I personally think our version of pudding is about a hundred times better than theirs. And I know. I’ve had both. 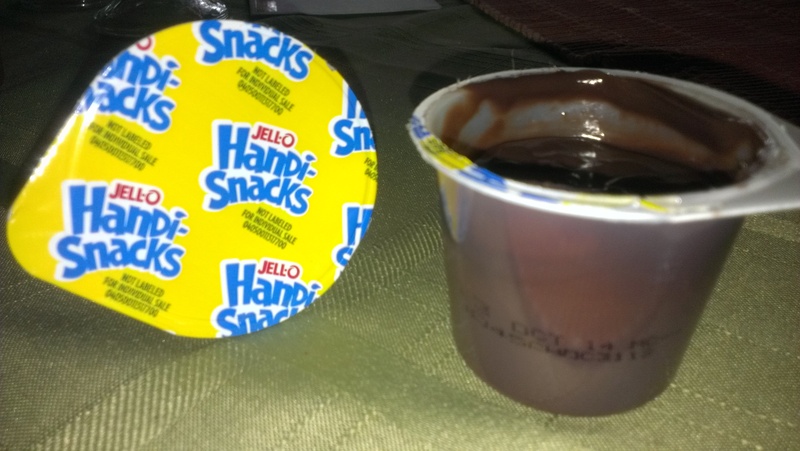 Jell-O started making puddings back in 1897, but most of the early flavors were fruity. 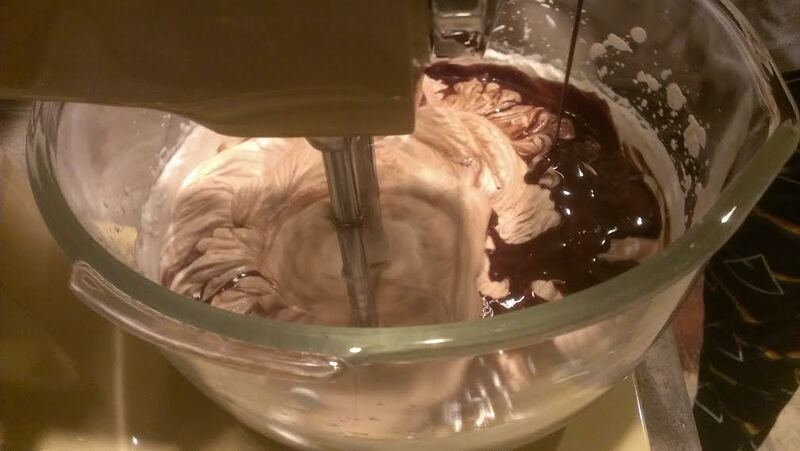 In 1934 General Foods introduced Walter Baker’s Dessert, a chocolate confection named after Baker’s chocolate company. In 1936, in an effort to fend off a million “who the hell is Walter Baker?” questions, the name was simplified to Jell-O Chocolate Pudding. 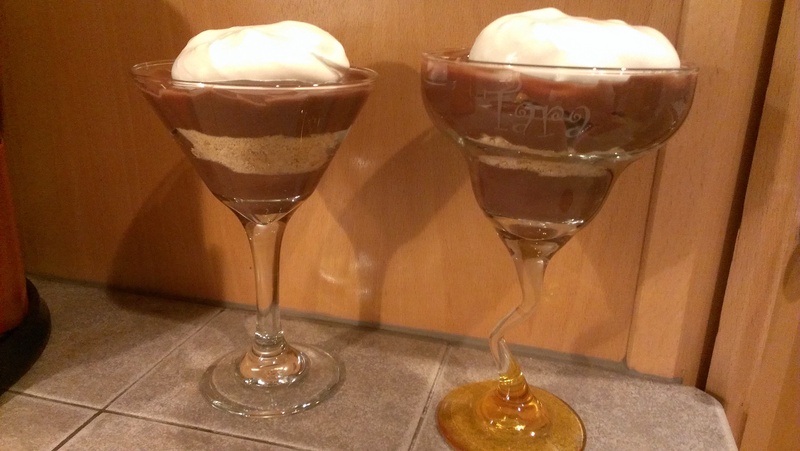 We went the easy route today and had prepared chocolate pudding cups. Before you cry foul, just remember that we slaved over souffles twice this year, and have made a majority of desserts from scratch. We needed a break! Today we celebrate a dessert with all kinds of weird grammar symbols in the name. It’s National Pears Hélène Day! Seriously, what are those weird slash mark thingies over the letter e? And, for that matter, what is Pears Hélène? 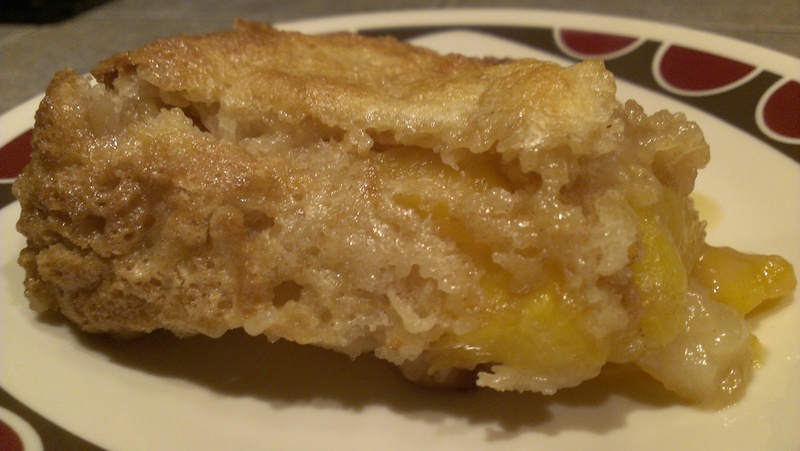 An old-fashioned dessert that is rarely seen anymore, that’s what. The dish was created by esteemed French chef and restaurateur Georges Auguste Escoffier, the same fella responsible for Peach Melba, in 1864. (The guy was all over the food map, inventing dishes left and right. We’ll be talking about him again when we celebrate Melba toast). The dessert was inspired by the opera La Belle Hélène, a historical reconstruction of the love triangle between Helen of Troy (“the face that launched a thousand ships and a Brad Pitt movie”), Paris, and Menelas. Escoffier decided that pears poached in sugar syrup and served with vanilla ice cream, chocolate sauce, and crystallized violets would perfectly represent the opera. Over the years the dessert was simplified, with sliced pears replacing the poached ones and slivered almonds standing in for the crystallized violets. Whew! I’d have hated to try and find that ingredient. Pears Hélène looked, and sounded, complicated when I first read about it, but in reality the simplified version is pretty easy. If we didn’t have plans tonight I might have considered poaching a whole pear, but we decided instead to go the simple route. 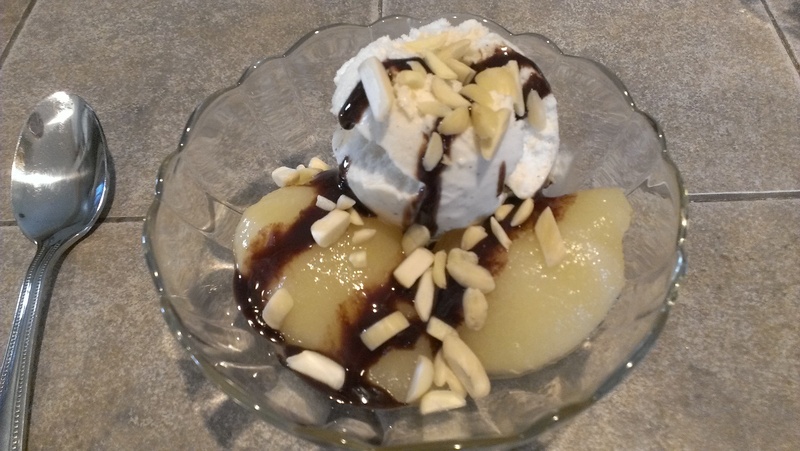 Sliced pears, vanilla ice cream, chocolate sauce, and slivered almonds. A little bowl at lunchtime. It was decent, though I’m sure using a real poached pear instead of a generic brand of pear halves in lite syrup would have upped the wow quotient. Today is both Super Bowl Sunday AND National Carrot Cake Day. There would have been less work involved today if we were celebrating chicken wings or chips and dip, I suppose, but we can’t control the calendar! At least carrot cake is healthier than most other cakes. Carrots have been used to flavor cakes since Medieval times, when sweeteners were hard to come by and expensive. Nothing satisfied a battle-hardened army freshly returned from plundering, pillaging, and ravishing young maidens more than a big ol’ hunk of carrot cake! This practice died out once sugar became more common and cheap, and for centuries the practice of using a veggie in a dessert was about as foreign as Donald Trump ever getting a decent haircut. And then World War II came along, and with it, sugar rationing. (I’ve never understood this. There was also metal and rubber rationing, which I get. Those are both used to make tanks and Jeeps. But while sugar might satisfy the sweet tooth of some boogie woogie bugle boy from Company B, why else was it such a big deal during “the big one”)? The British government promoted desserts using carrots in order to keep its citizens happy, and there was a sudden glut of carrot puddings, pies, and cakes. Carrot cakes first showed up in the U.S. right around the same time as the Beatles in the early 1960s, and were considered a novelty item on restaurant and cafeteria menus. Until people actually tried them, and fell in love. They are now a standard dessert item everywhere. It’s been a crazy weekend – Tara and I got engaged Friday night (!) so we’ve been sort of preoccupied with thoughts about our future, ya know? 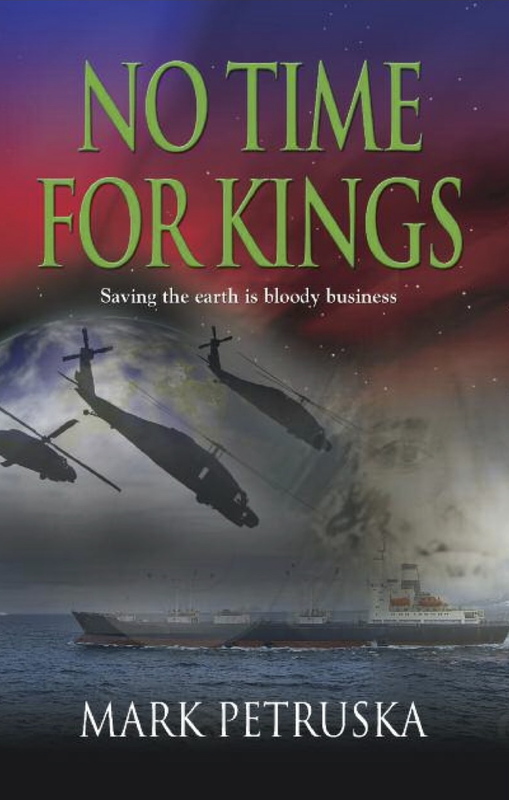 But time – and Eat My Words – waits for no man, as they say. Mrs. Smith’s used to sell a frozen carrot cake that was really good, but we couldn’t find it anywhere yesterday, so we resigned ourselves to baking a cake of our own (and by “we” and “ourselves” I mean “Tara” and “herself”). 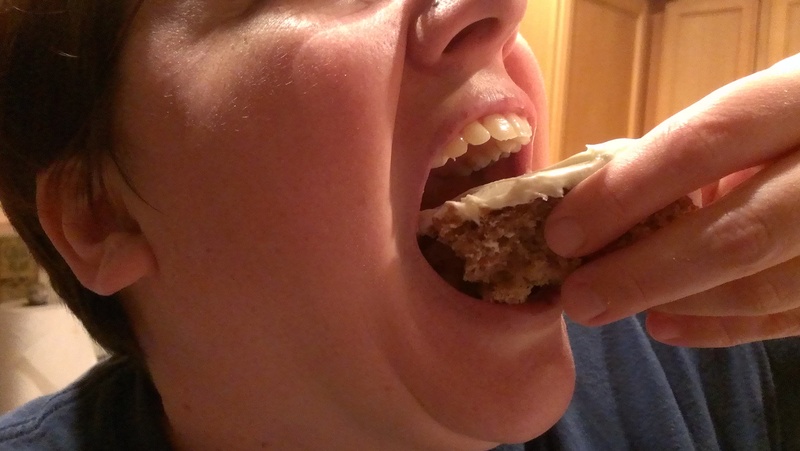 Tara diggin’ in to the carrot cake! Unfortunately, we had to use a box mix. I don’t know why I feel like I have defend that choice, but we were already at the store and didn’t have a recipe on hand, so a pre-made mix seemed like the best choice. And the weird thing is that Carrot Cake is one of the few that I’ve always wanted to make from scratch. I loves me some Carrot Cake! But after the excitement from this weekend and a few Bloody Marys during the Super Bowl, this is what we got. By the way, I tried guilting Mark into baking the cake. I’ve been up since 4:30am and was downstairs and cleaning the kitchen by 5:30. We crashed early last night and the house has been neglected pretty much since before Christmas…I was long overdue for some productive chores. By the time Mark’s parents showed up for lunch at noon, I was dead on my feet. But at least the house looks good! By the time the game was over, the cake had cooled enough for the pre-made (blech) cream cheese frosting. 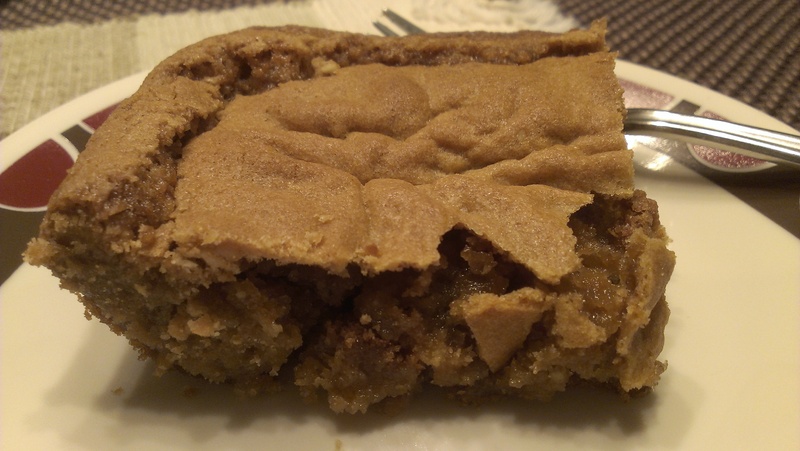 Mark said it was “Sooooo good!”, but it reminded me too much of plain ol’ Spice Cake. Definitely not as good as Mrs. Smiths! I loved it, babe. Carrot cake is always good. (And I would have made it, even though I guess I would have made it wrong). Thanks for your help, as always!